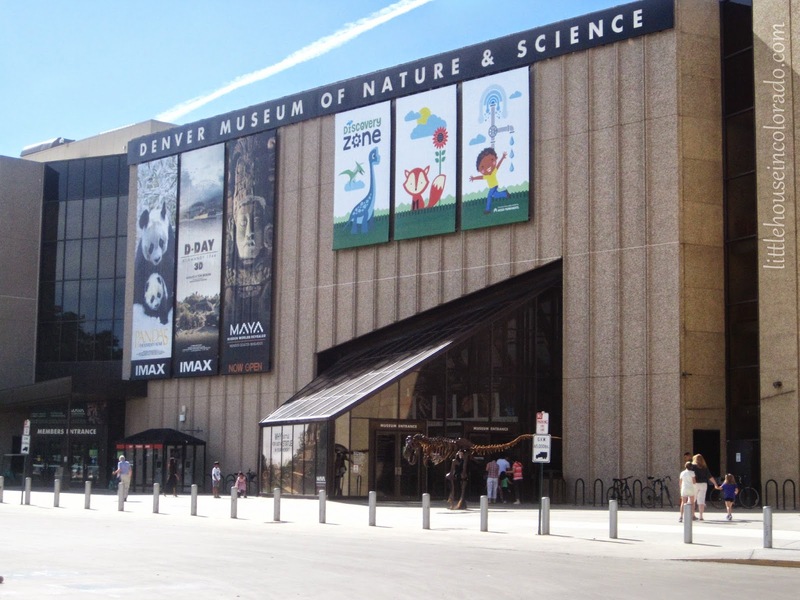 Monday was the SCFD (Scientific & Cultural Facilities District) Community Free Day at the Denver Museum of Nature & Science. 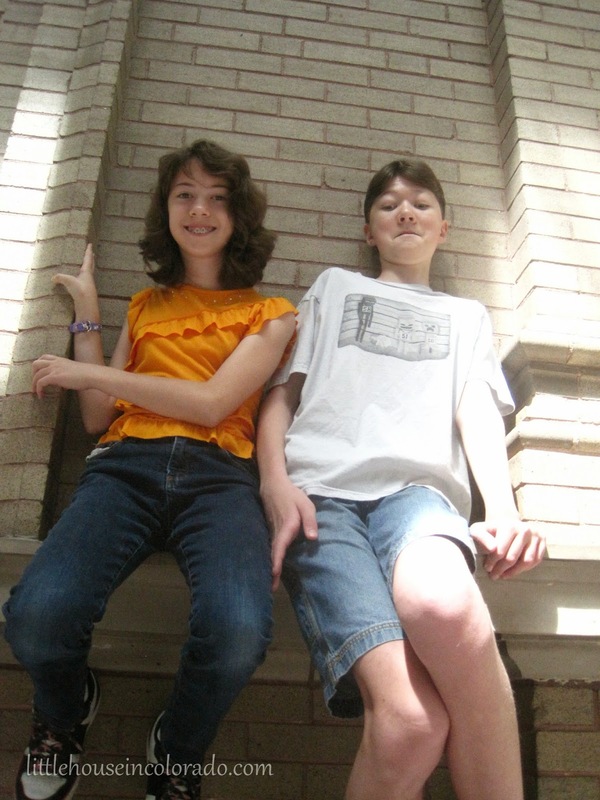 It can cost a pretty penny to take our family to the museum so we decided to take advantage of the opportunity to visit for free. 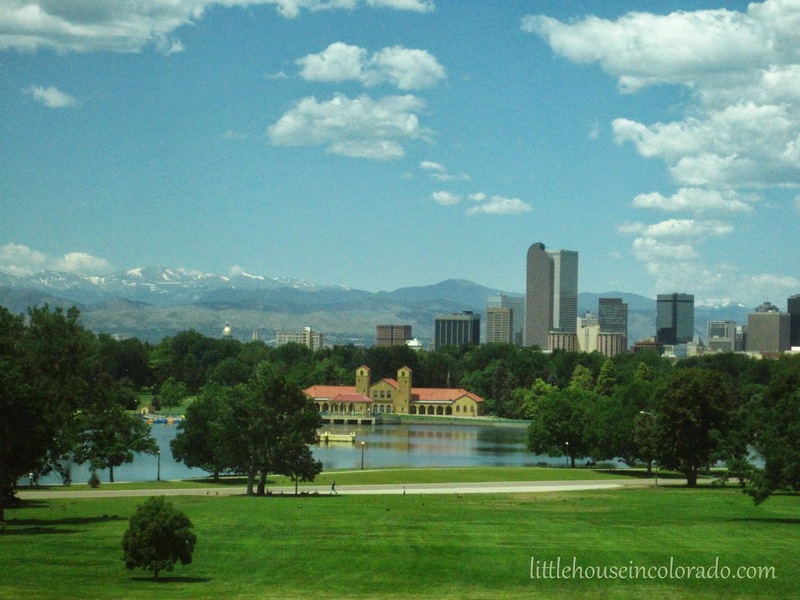 A couple years ago, we experienced the crowds of the Denver Zoo on their free day so we had an idea of what to expect this time. We decided on a free day that fell on a weekday (as opposed to a weekend) and planned on arriving soon after the museum opened. It's a good thing we did. There was already a crowd. Thankfully, there were still some parking spaces readily available close to the entrance. 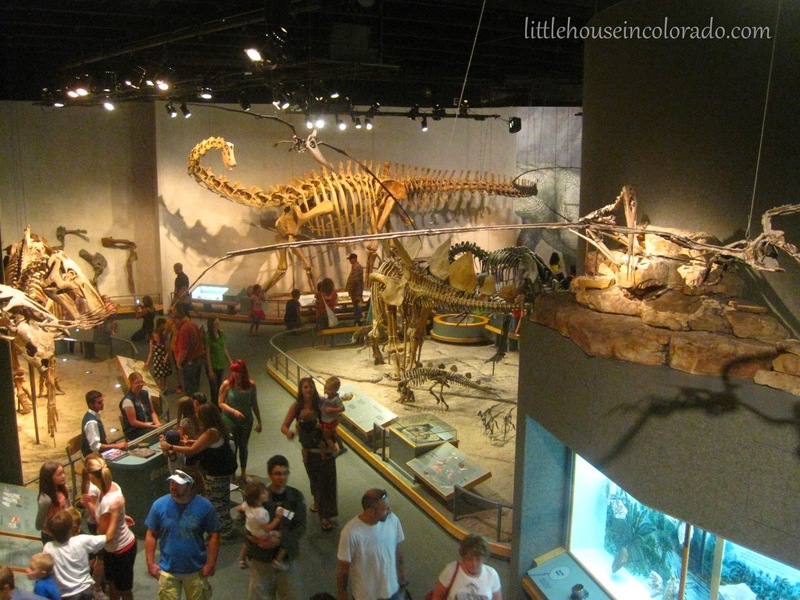 The Denver Museum of Nature and Science boasts three floors of exhibits, a planitarium, an IMAX theatre, an auditorium, a "Special Exhibits" gallery, two atriums, a sky terrace, a cafe, deli and gift shop. 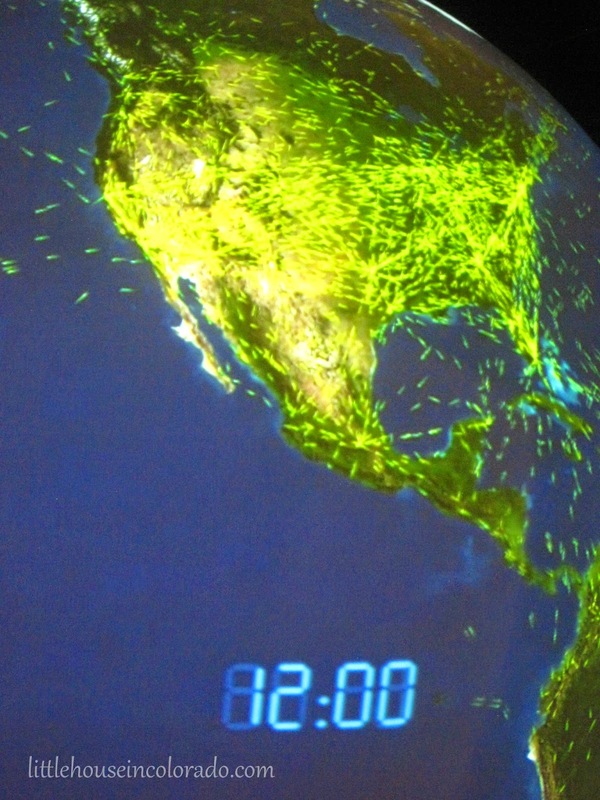 This image is the air traffic in North America at 12 noon but you could see it for the entire globe in all countries. The air traffic decreases at night and flares up in the morning. 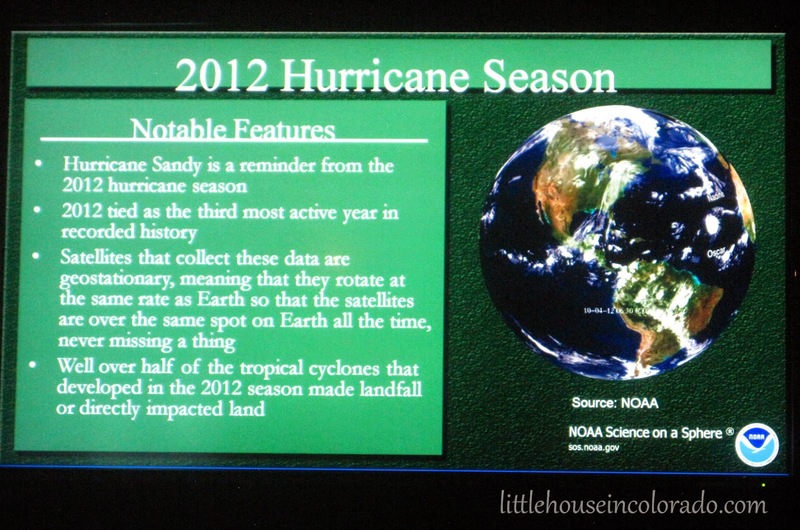 We stayed to view the 2012 Hurricane Season on the globe as well. I also captured some video of it. 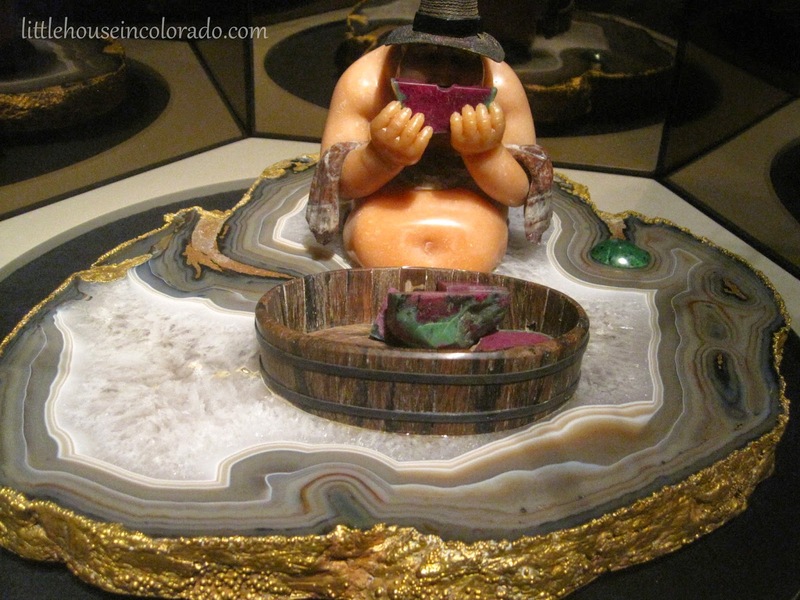 Next up was the Gems & Minerals Exhibit which also covered a lot of the mining history in Colorado. 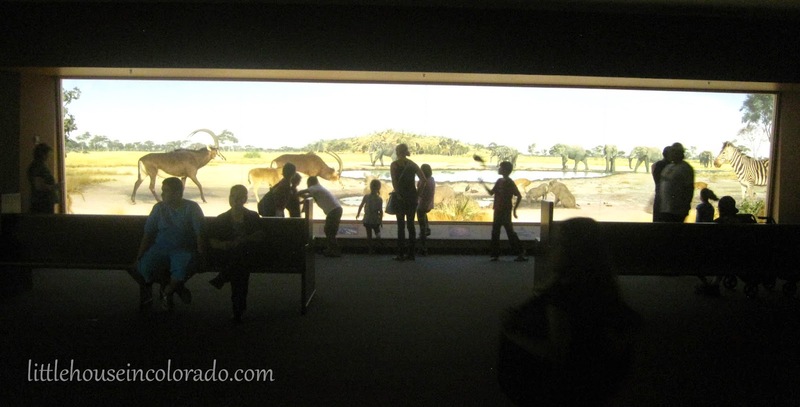 There were Dioramas for Africa and Australia, the South Pacific, South America, North American Indian Cultures and the various regions/altitudes of Colorado. 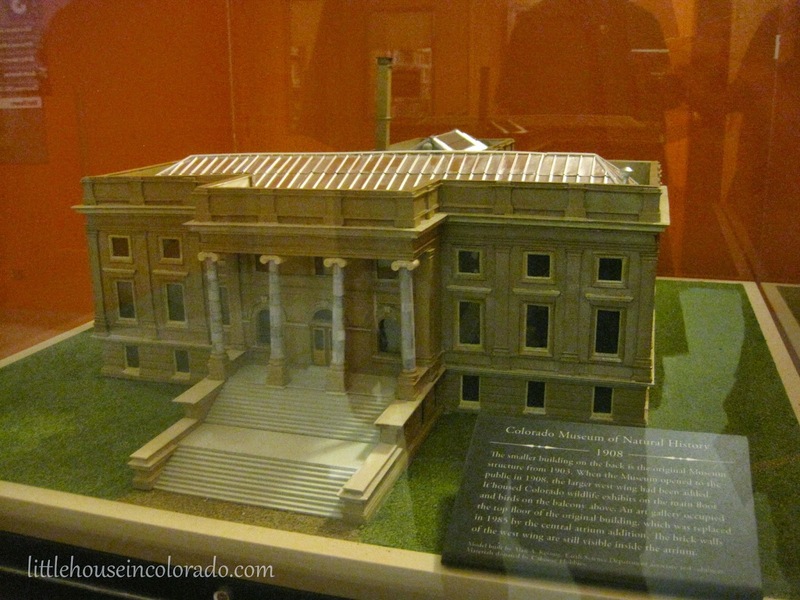 Off to the side, Mr. LH spotted this model of the museum as it appeared in 1908. 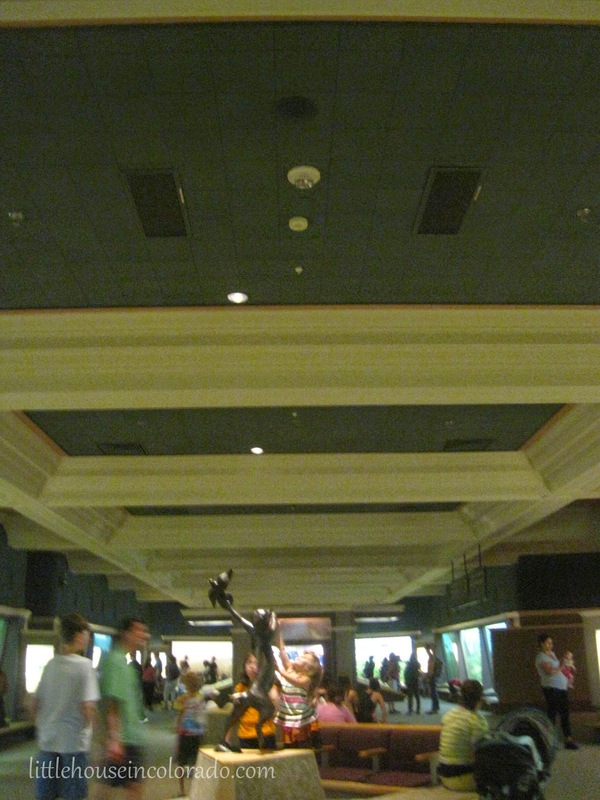 In fact, while we were viewing all the Dioramas, we noticed a couple of the rooms had the original museum ceiling. My favorite part of the museum was the Vasily Konovalenko Gem Carvings of Russian Folk Life exhibit. The carvings were so impressive I'll have to write a separate blog post about them! 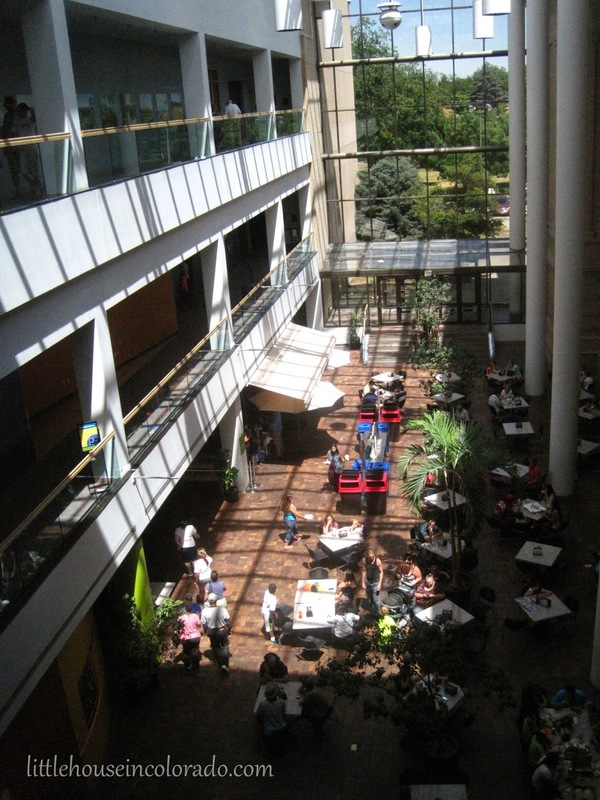 At this point, we needed to take a break for a bit and were happy to discover the Leprino Family Atrium on the west side of the museum. 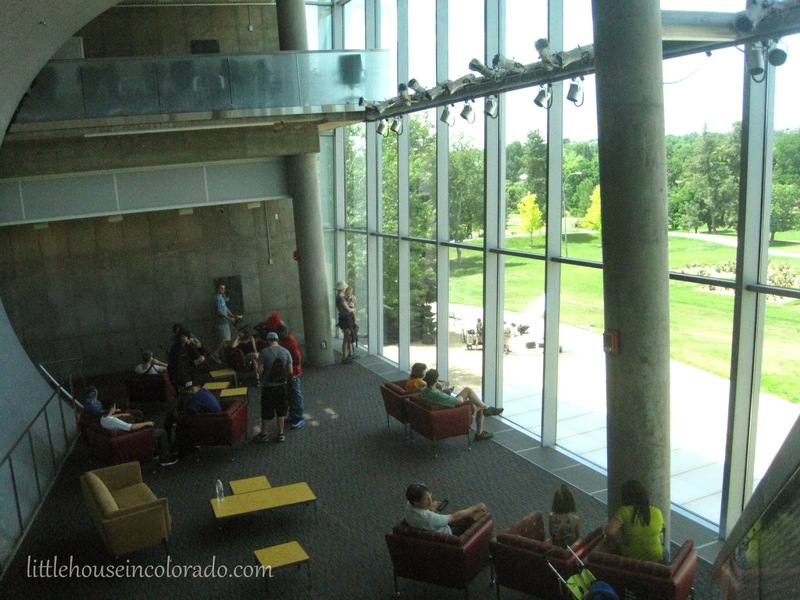 The glass wall frames a gorgeous view of city park, Denver and the mountains beyond! 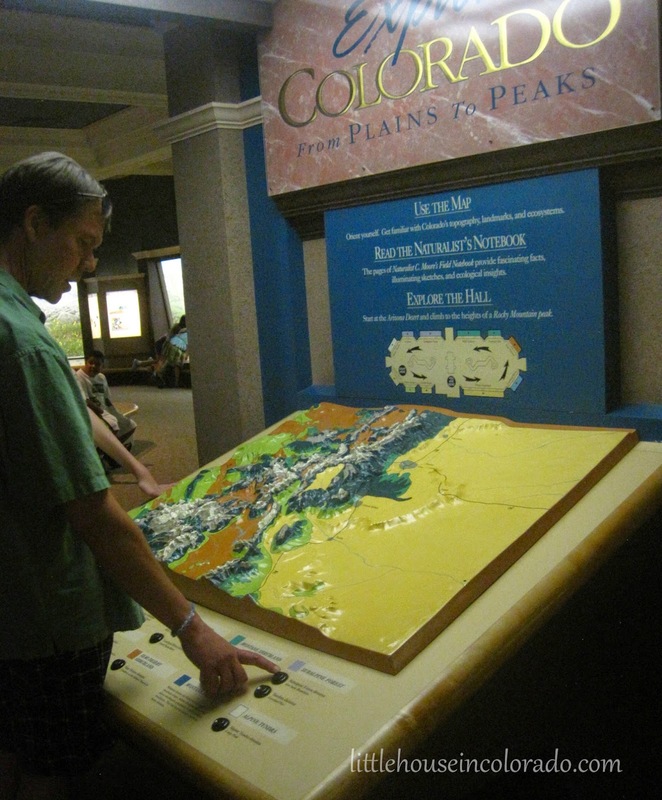 We only had one exhibit left on our agenda for the day - the Prehistoric Journey. It takes you through 3.5 billion years of the Earth's history. 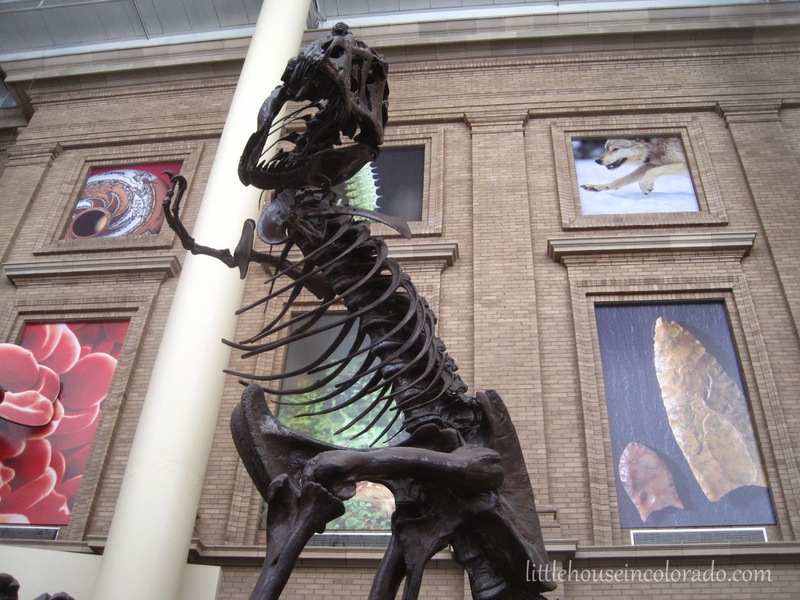 So...six and a half hours at the Denver Museum of Nature & Science and we STILL didn't see everything there was to see. Not only did we still miss some of the regular exhibits, but we also didn't do any of the "extras" that cost more (IMAX, the special Mayan exhibit that is only here for a limited time, or the planetarium). Now we may have to buy a family membership to the museum. 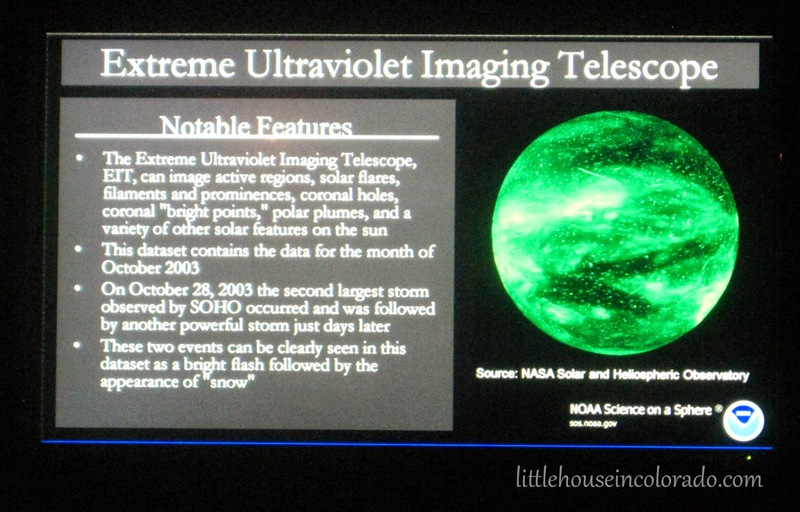 It would pay for itself in only a couple of visits and we would receive discounted IMAX and special exhibit tickets. 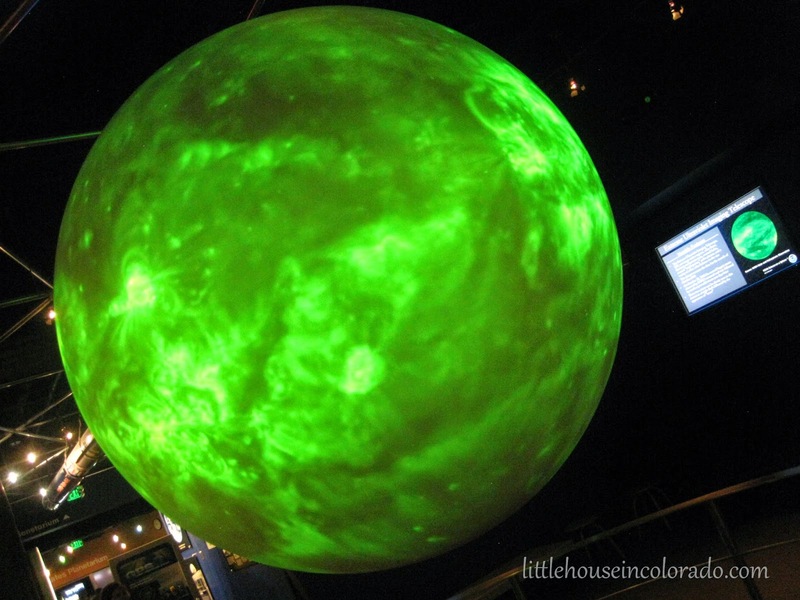 If you would like to take advantage of a SCFD Community Free Day to explore the Denver Museum of Nature & Science, there are quite a few to choose from. 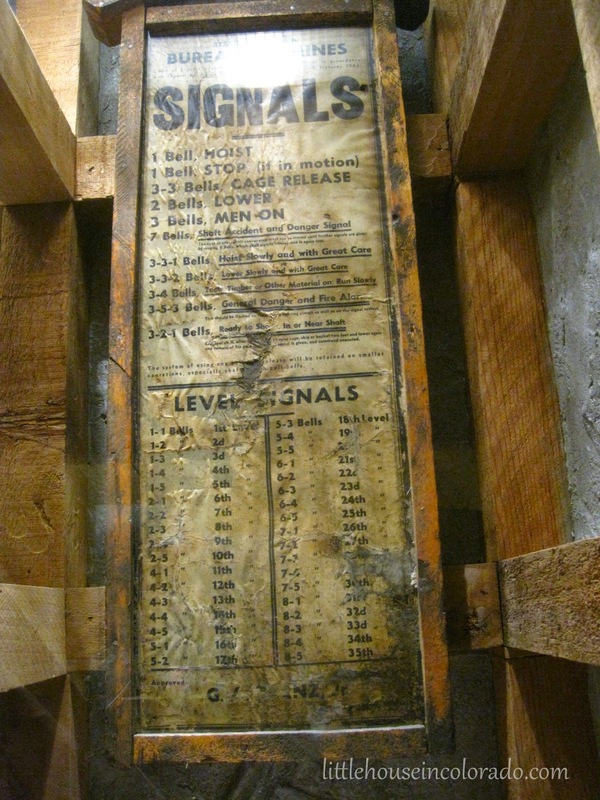 You can find the list on the museum website.